The movie is out on Oct 26? Just in time for the elections but even better it has the Russians as the bad guys. But ya know what modern "media" has me curious and wondering if they're not perhaps predicting the future? Fallout 4. That game has as its backdrop a fight between China and the US that ends in a nuclear exchange, because of disputes over natural resources. We don't know what happened to much of the rest of the world but the US is totally destroyed and the game has a lone survivor from a fallout shelter walking the wasteland trying to survive against mutant beasts, scavengers, raiders and remnants of the govt. 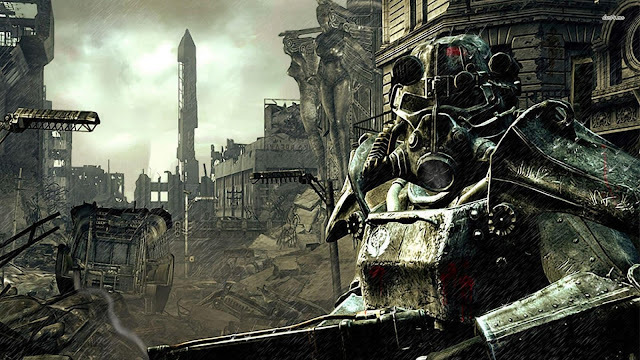 Fallout 4 supposedly occurs in 2077. That seems like a more realistic scenario than Hunter Killer.